This book is a complete guide to playing the 10-hole diatonic harmonica. Its purpose is to help the beginning student avoid the trail and error method of playing the harmonica through step-by-step technical instruction and an extensive, graded repertoire. Rather than overwhelming the student with the "all at once" approach, fundamentals of note reading are gradually introduced throughout the book's 100-plus pages. 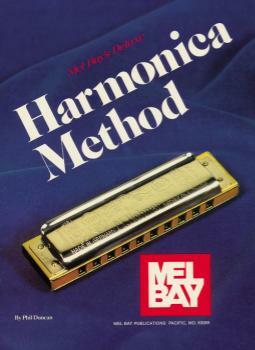 This method progresses from very simple melodies and exercises to concepts as complex as inserting harmonica chords within a melody. Guitar chords are provided for most of the well-known tunes in the book.